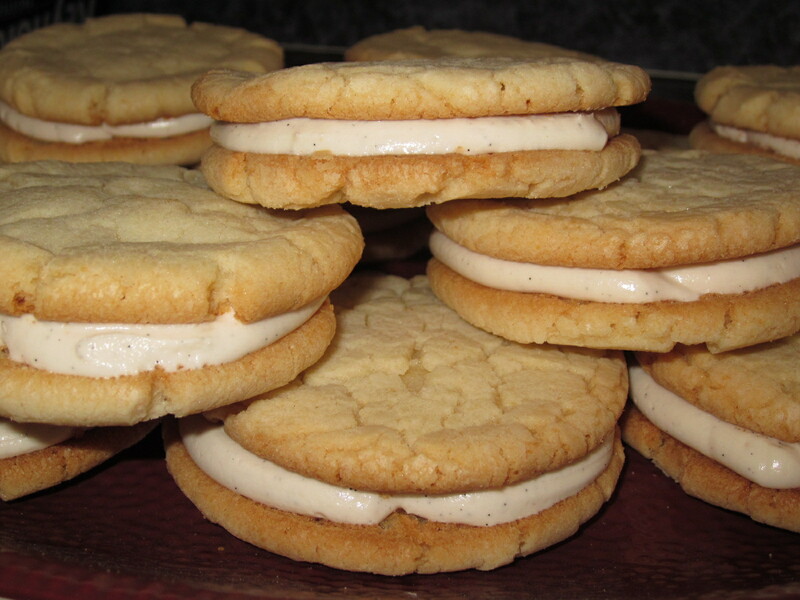 Matt has often recounted his fond memories of his mom’s vanilla-frosted sugar cookies, eaten straight out of the fridge, and I recently channeled those memories into some simple vanilla cookie sandwiches filled with vanilla bean buttercream frosting – and they were a success. Still not as good as mom’s, I’m sure! Heat the oven to 375. 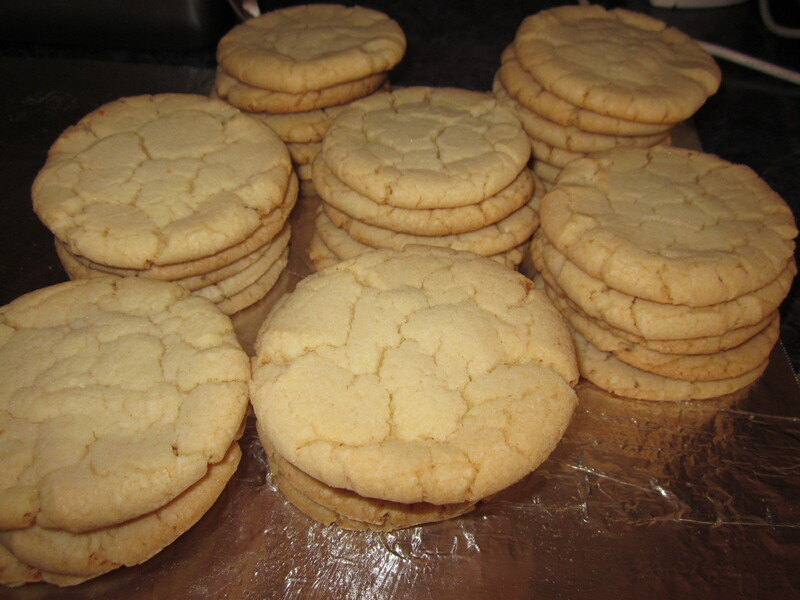 Combine the cake mix, one stick of softened butter, and one egg until a soft dough forms. 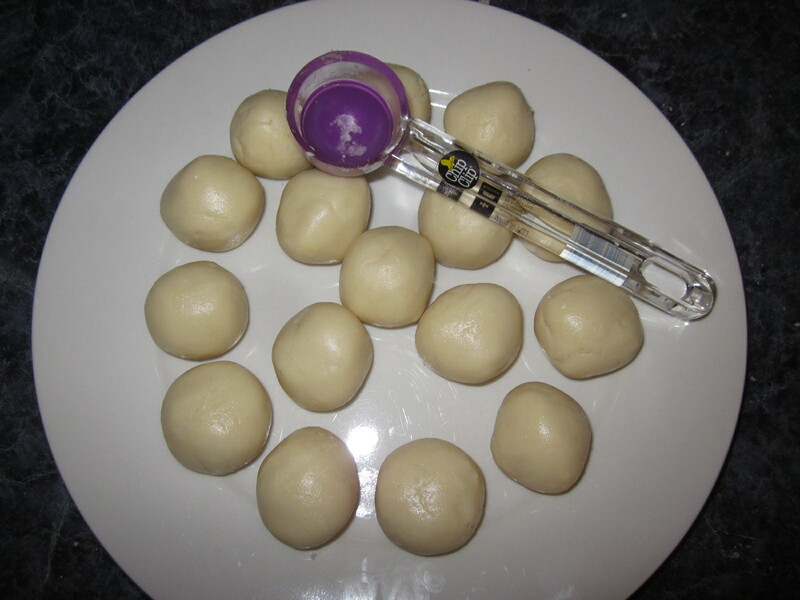 Scoop the dough into uniform balls (this is important for the sandwiches). 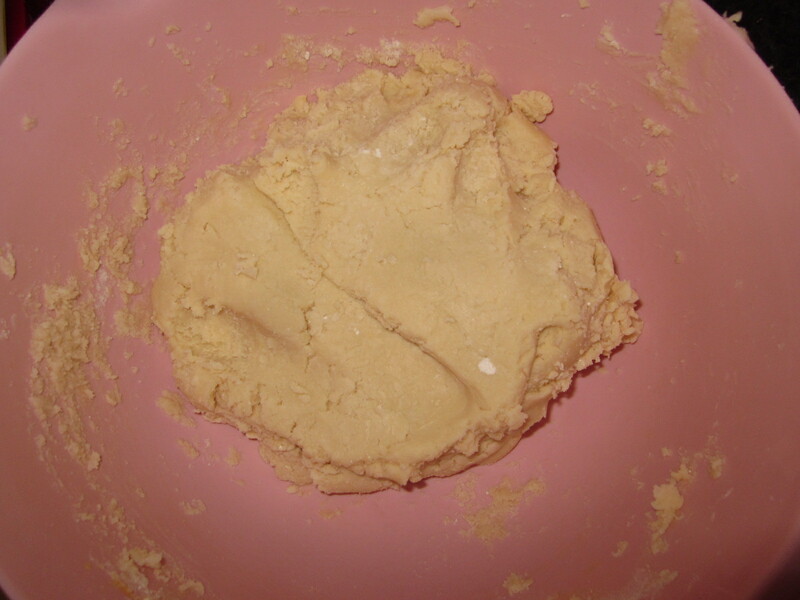 I used a scoop like the one pictured below. 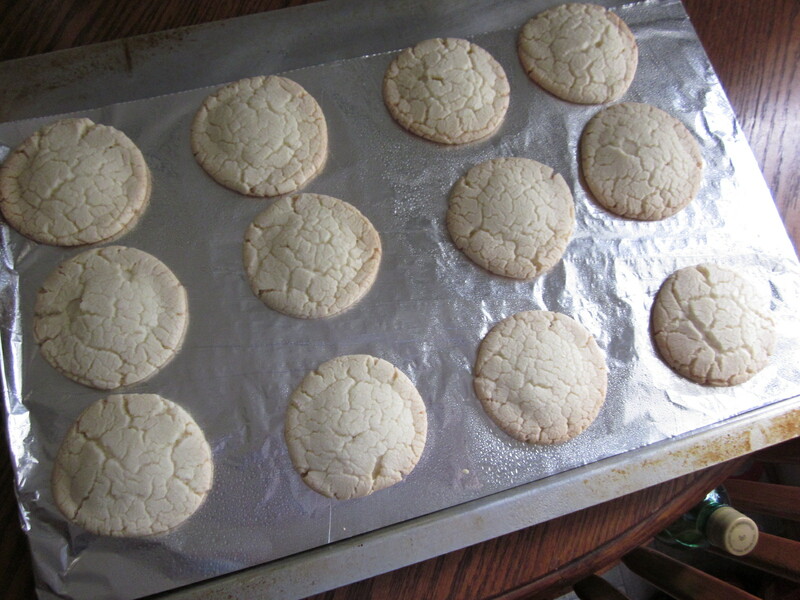 Bake for around 8 minutes, until the edges are light golden brown. 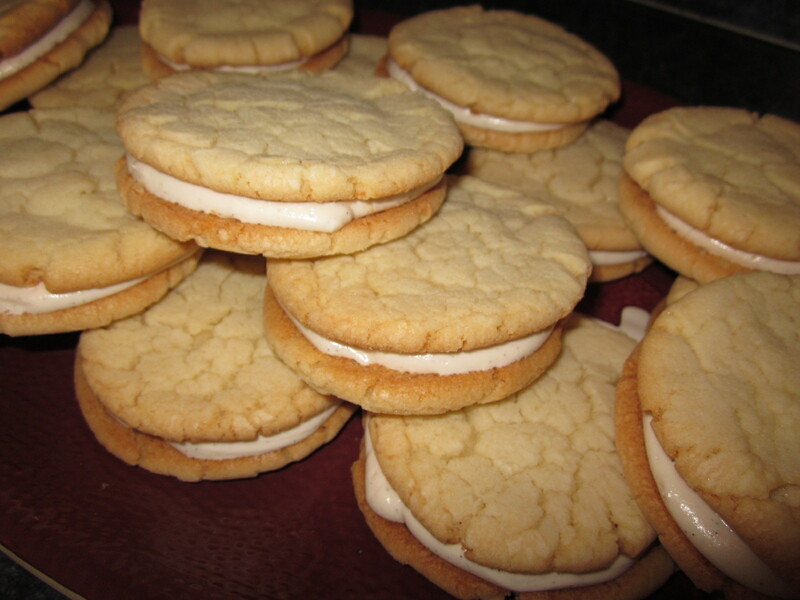 While the cookies are cooling, make the frosting filling for your cookie sandwiches. 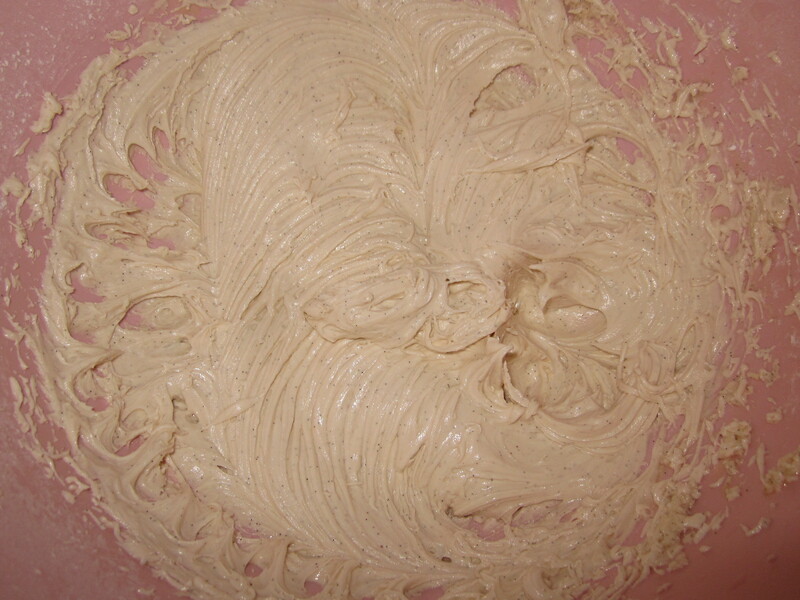 Combine the remaining ingredients with an electric mixer and beat until fluffy. Pipe the filling onto the cooled cookies. 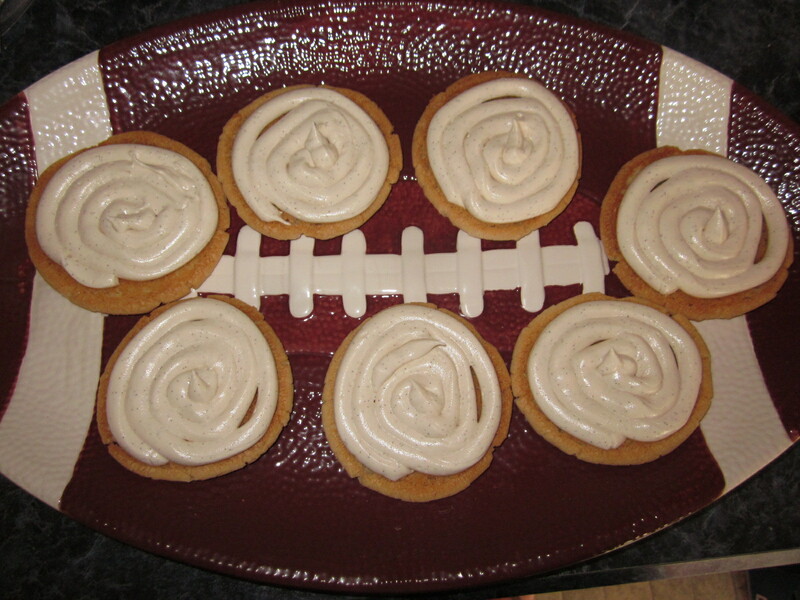 Top with your remaining cookies and you’re done!